For those who have visited Kalyani nagar and taken a small walk in front of Marigold, it is a common sight to this lean looking old man Sharma Ji out and about with multiple doggies of all shapes and sizes following him around. Sharma Ji is the care taker of the open plot called Rock Enterprises and it is amazing to see that this man of very few means single handedly takes care of 16 indies. They are all fed twice a day, are all vaccinated and with his efforts and support of the local volunteer group all are sterilised as well. That he loves them with his heart is easy to see when they all sneak up on his bed and the fact that when anyone is injured he picks up the phone and calls the volunteers to do on-site dressing and treatment while he helps with holding the dog, flashlights, bringing water and of course offering you a cup of team to show his gratitude. Sharma Ji is a true example of peaceful co-existence and compassion and if you are in Kalyani nagar do stop by to say hello to his indies as well as Sharma ji and enjoy a cup of tea. 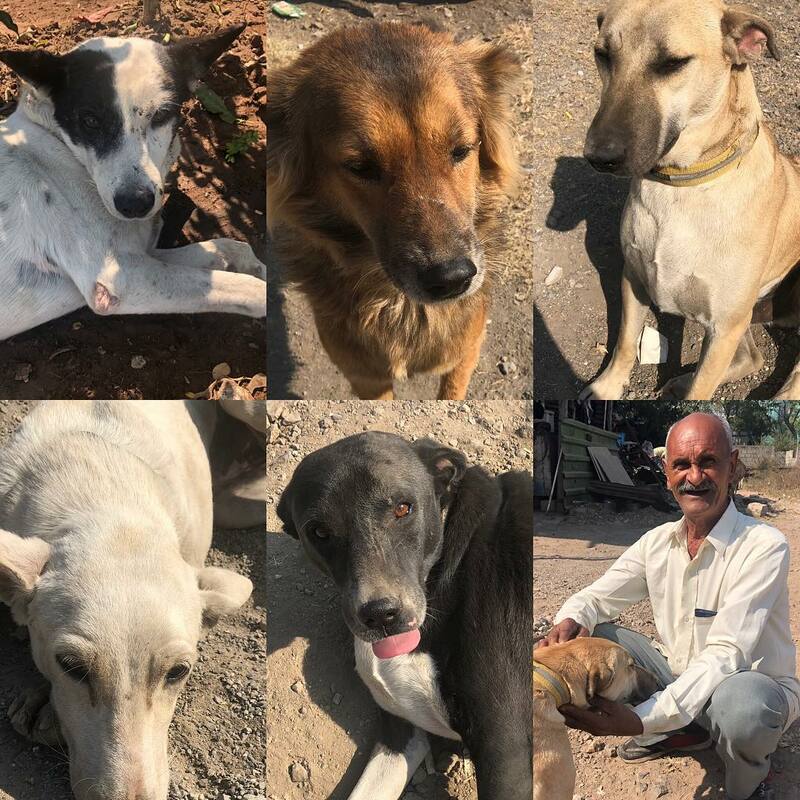 This is Sharma Ji & his multiple doggies story……. what’s yours?